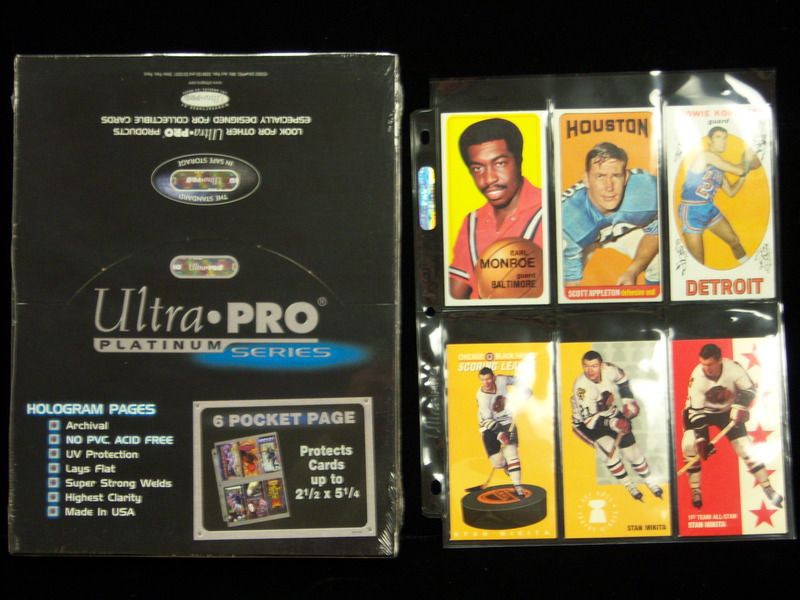 Kevin Savage Cards is pleased to place up for sale an unopened box of 100 Ultra Pro 6-Pocket pages. These pages will hold tall cards measuring "Up to 2-1/2" x 5-1/4". 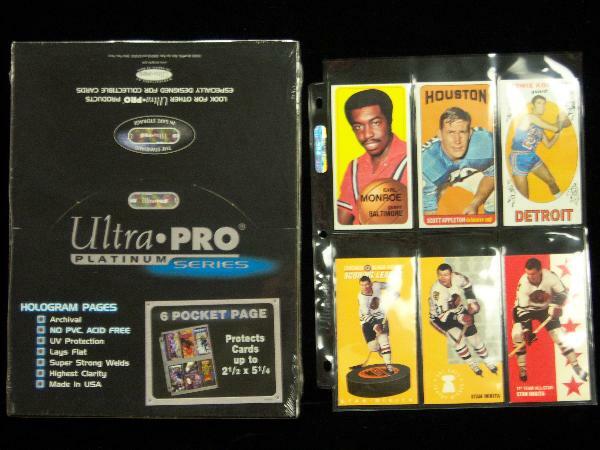 These are ideal for 1965 Topps Football cards, Late 60's-Early 70's Basketball issues, Tall Boy Hockey, some ticket stubs, etc... Ultra Pro is one of the most trusted names in the hobby today with NO PVC, NO ACID pages and to top it off, THEY ARE MADE IN THE USA!! !